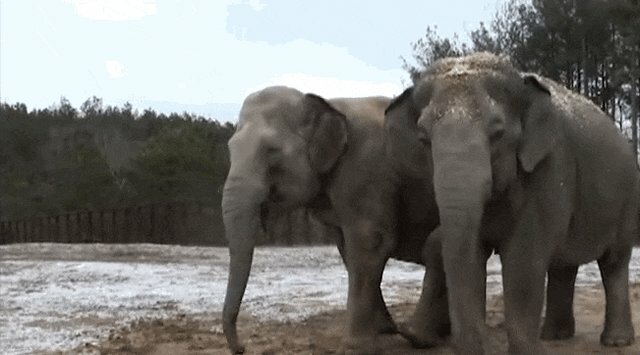 Snow isn't the most common occurrence at The Elephant Sanctuary in Middle Tennessee. So when there was a surprise snow day on the grounds, the residents just had to check it out for themselves. The friends ventured out of their heated barn to inspect the flurries. "Hey, wait ... this isn't the regular ground." Trying new things is a lot easier with a friend by your side. Watch the full video - including some very adorable elephant noises - below. 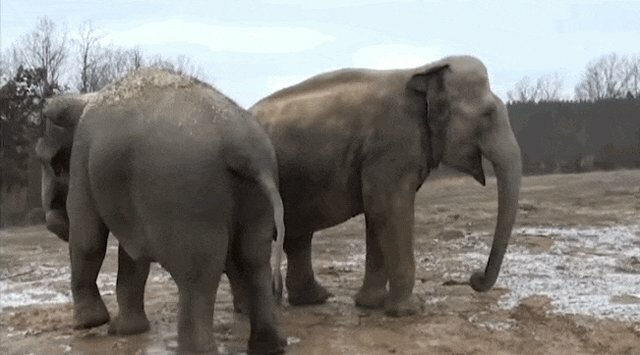 If you'd like to donate to The Elephant Sanctuary, you can do so here.